3 How to check SSC Result 2019 By SMS? 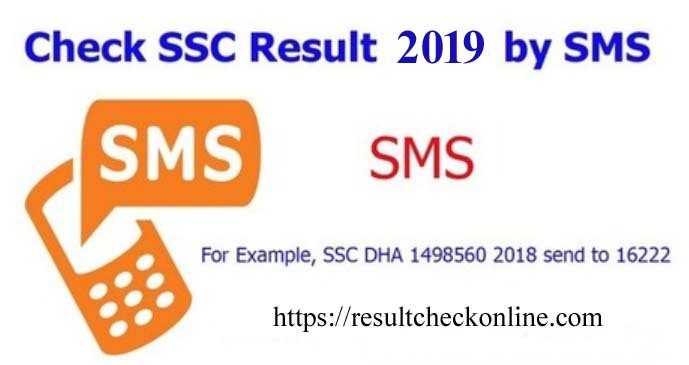 SSC Result 2019 Check By SMS! Hello Dear, Welcome to How to Check SSC Result 2019 By SMS Content. At present, most popular way to check any kinds of board final exam result in Bangladesh, whose name is “SMS system”. Under this system, Students can check SSC Result 2019 from any operator number from any place by sending a small message. Every year, a huge number of students attend to SSC Exam. So, they must be need to know the exam result. If you are a SSC 2019 examines or their relative person and want to check the SSC Exam Result 2019 by using Mobile SMS system. This is the right place for you, because in this content, we are going to share SSC Result 2019 Check By SMS process. So, staying with us and follow the below content. This is a very simple and easy way to check the SSC Exam Result 2019. A students easily send an SMS by using own mobile. After publishing the SSC Result, the students are eligible to check exam result three ways and their name is SSC Result 2019 Check Online, SSC Result 2019 Check By Android APP and SSC Result 2019 Check By SMS. After publishing the result, student first choice is online system. But, the SSC Exam Result 2019 Check By Online method not working well for over traffic. So, students use the SSC Exam Result 2019 CHECK BY SMS System, to check the own SSC Result. After reading this content, you will easily check the SSC Result 2019 BY SMS. The main important question of all the SSC 2019 Examines, when the SSC Exam Result 2019 Published? The Bangladesh education minister Dipu Moni Announce that, the SSC Result 2019 Publish Date is 6th May, 2019. After published result, you can easily check SSC Result by SMS system. How to check SSC Result 2019 By SMS? First, students need go to the device message option and type same SMS like as the below Message format and send to 16222. SSC <space> 1st three Letters of Own Education Board <space> Roll Number <space> SSC Passing Year and Send to 16222. Example: SSC DHA 762412 2019 and Send to 16222. Example: SSC CHI 762412 2019 and Send to 16222. Example: SSC BAR 762412 2019 and Send to 16222. Example: SSC DIN 762412 2019 and Send to 16222. Example: SSC SYL 762412 2019 and Send to 16222. Example: SSC RAJ 762412 2019 and Send to 16222. Example: SSC JES 762412 2019 and Send to 16222. Example: SSC MAD 762412 2019 and Send to 16222. Example: SSC TEC 762412 2019 and Send to 16222. Thanks for staying with us a long time and visiting “How to Check SSC Result 2019 By SMS” content. 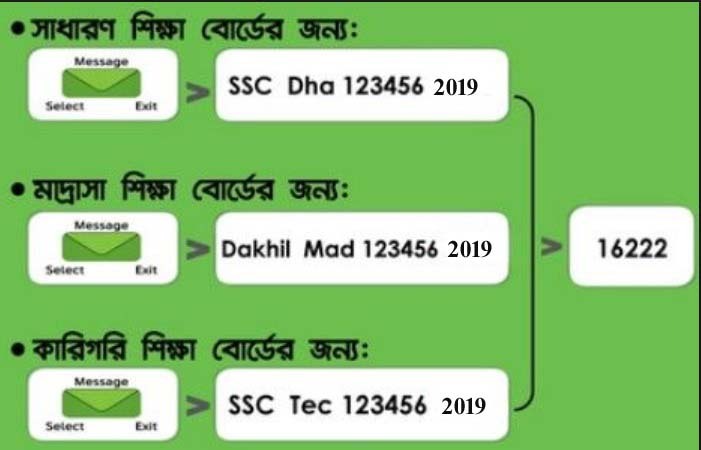 If you have any question about the SSC Result 2019 By Mobile SMS? Just comment here. We reply as soon as possible. Next: How to Check Education Board Result?